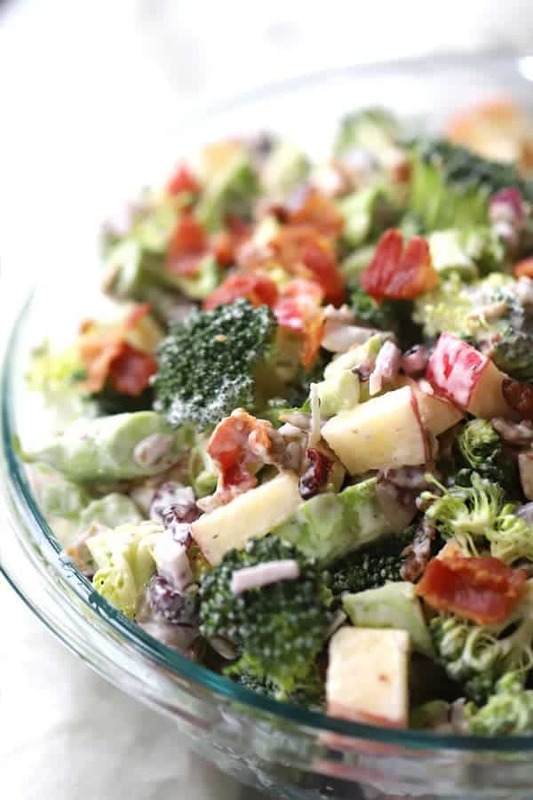 This broccoli salad with bacon is the best broccoli salad. This is a raw broccoli salad with sunflower seeds and the best broccoli salad dressing recipe. 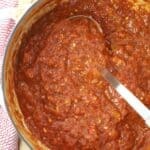 It’s a great side dish for BBQ’s or a potluck or an everyday weekday dinner. 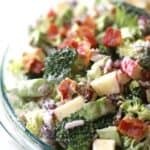 This easy broccoli salad recipe with bacon is loaded with flavor but you can defining customize it and make it your own. I like to add loads of bacon, craisins, sunflower seeds, apple chunks, a little red onion, and of course, raw broccoli. 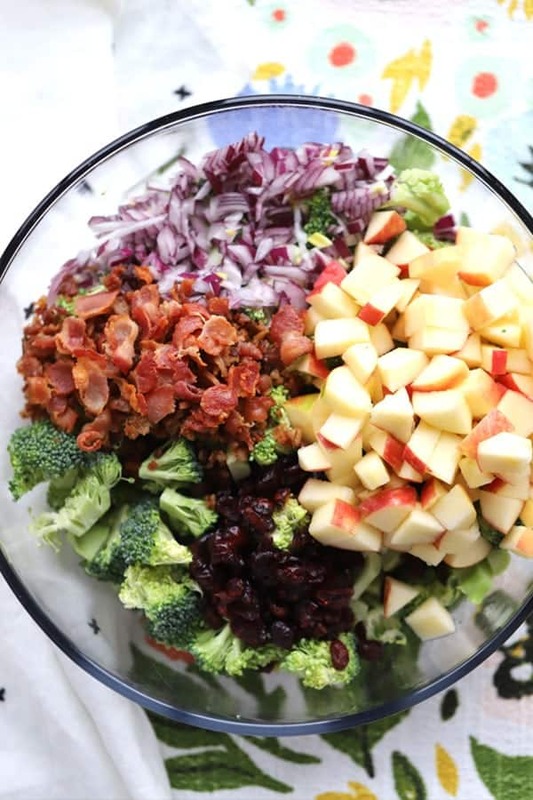 Here are a few more ideas you can add to your broccoli bacon salad. This fresh broccoli salad can be a perfect fit, what your family loves. It can be a simple broccoli salad to be bursting with many textures and flavors. This is the best broccoli salad ever. 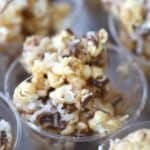 It’s one of those perfect potluck salads everyone loves. Start by washing all your produce. 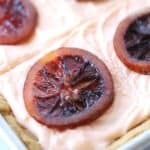 Let it air dry while you prepare your dressing and other ingredients. Cut your broccoli into 1/2-3/4” pieces. This is a nice bite-sized piece of broccoli. Cut your apple into 1/2” chunks. I like to use a really crispy kind of apple. A fuji, gala, or honey crisp work great, even a Granny Smith apple would work great. Put your apple in 1/2 cup of cold water with a tablespoon of Lemon Juice until you are ready to add it to the salad. This will keep the apple fresh and without it turning brown. 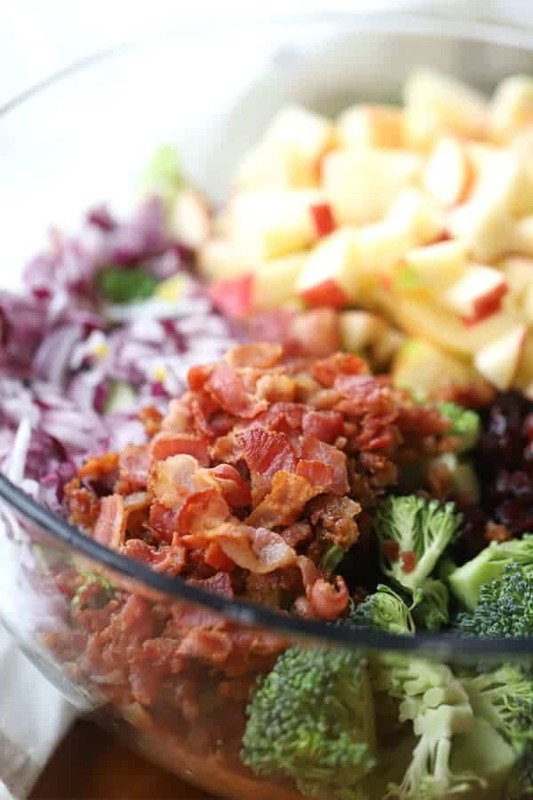 For the bacon in this broccoli and bacon salad, you can cut fresh slices of bacon into chunks and fry them in a frying pan until crisp. A shortcut to this process is to use pre-made bacon bits. Lay the bacon bits on a paper towel and microwave them for about 60 seconds or until they are slightly browner than before. 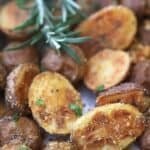 This is an easy way to crisp pre-made bacon. To make the best broccoli salad dressing recipe, add the mayonnaise to a small bowl. Add about 2 tablespoons of lemon juice or vinegar. I like to use lemon juice. I think it tastes fresher than vinegar but either will do. You can use white wine vinegar or apple cider vinegar. Also, I like to use white, granulated sugar but maple syrup works well too. For the crasins in this broccoli craisin salad, you can use traditional raisins, raisins, or white raisins. 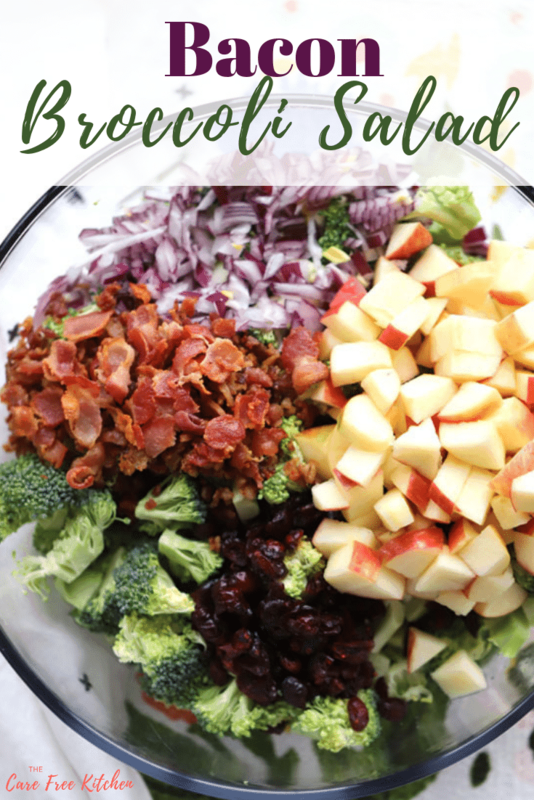 Whatever you decide a broccoli salad with bacon and raisins is delicious! 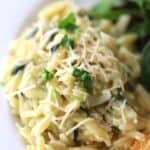 This is the best broccoli salad ever and is amazing with these great main dishes…. 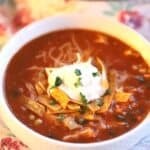 in a small bowl, combine the mayo, lemon juice, and sugar. Stir with a whisk until combined. Set aside. Wash your broccoli and apples before cutting. Cup broccoli into 1/2'-3/4" pieces. 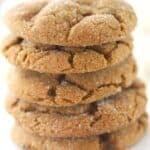 This makes a nice bite-size. Cut the apples into 1/2" pieces. Soak the apples in a bowl with 1/2 cup of cold water and the lemon juice. This will keep the apples from turning brown. DIce the half of onion into1/3" diced pieces. 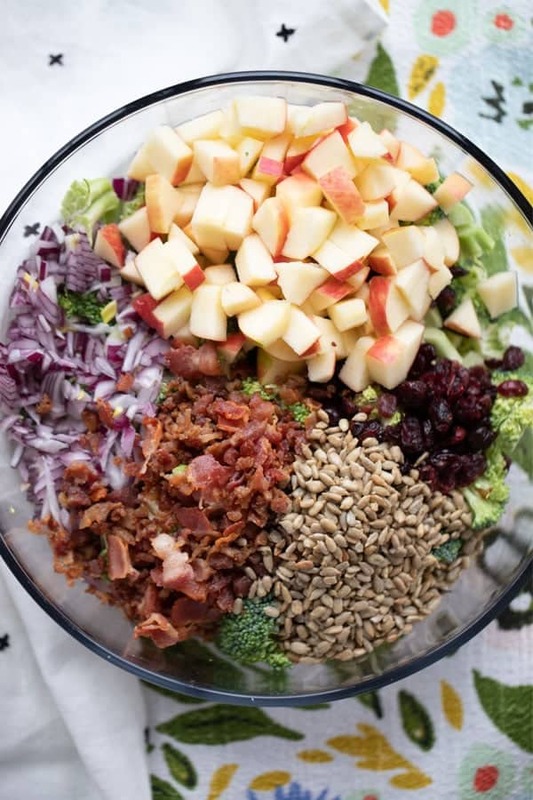 In a large bowl, combine the broccoli, bacon bits, red onion, craisins, sunflower seeds, and diced apple. Pour about 2/3 of the dressing on the broccoli salad. Mix until the dressing covers all the salad. Add more dressing and mix again, if desired. I don't love a lot of extra dressing on my broccoli salad. I like to barely be coated so it's not dry but you can use up to the entire cup of salad dressing.